Why is the home key on my mobile device very slow to operate? How do I switch off the alert sounds, when my handset device is in ‘silent’ mode? Why is the cell standby percentage so high on my GT-I9300 handset? Why am I unable to move applications to the Micro SD card on my GT-I9300 handset? Why doesn’t the S-Voice feature work on my Galaxy S (GT-I9300) handset, when using an Orange SIM card? Why does my Galaxy SIII (GT-I9300) handset’s screen not turn back on, just after talking on the phone? 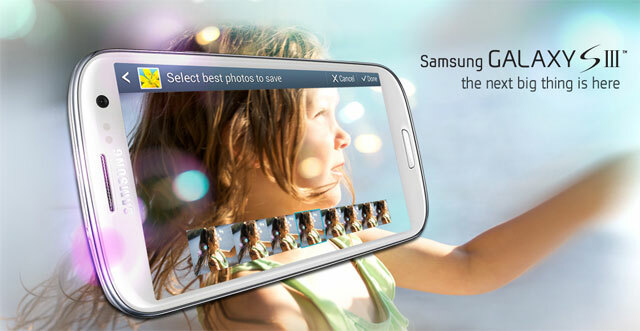 Why am I unable to capture an image from a video I am currently recording on my Galaxy SIII (GT-I9300) handset? Why doesn’t the ‘Turn Over’ motion sensor work within the ‘Play Music’ app on my Galaxy Slll (GT-I9300) handset? What is the ‘Sun’ icon that appears within the Weather widget on my Galaxy Slll (GT-I9300) handset? Why doesn’t the HDMI cable for my Galaxy SII (GT-I9100) work with my Galaxy SIII (GT-I9300) handset? Why am I unable to upload a video file from ChatON, on my Galaxy SIII (GT-I9300) handset, to YouTube? How do I locate the voice message icon within the message app of my GT-I9300 handset? How do I switch off and on the Notification function on my GT-I9300 handset? An arrow symbol with a minus sign appears on my GT-I9300 handset when notifications are switched off. What does this mean? Why is there only 780 MB of RAM available, when 1GB of RAM is advertised, on my GT-I9300 handset? Where can I purchase either the 32G or the 64G version of the Galaxy SIII (GT-I9300) handset? How do I enter and save a word when texting, that isn’t recognised by the Galaxy S III handset? How do I activate the Message Alert tone on the Galaxy SIII handset? How long does the Warranty period on the new Galaxy S III handset last for?